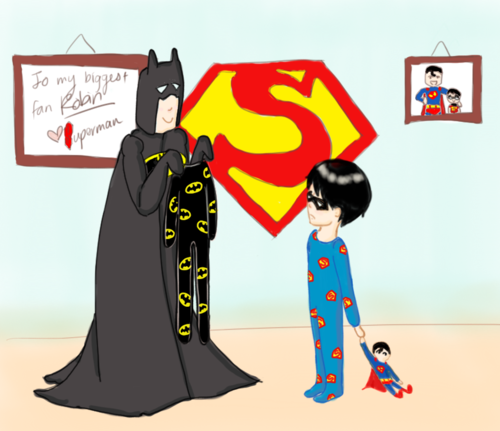 to my biggest fan. . HD Wallpaper and background images in the Young Justice club tagged: young justice robin superman batman. LOL! 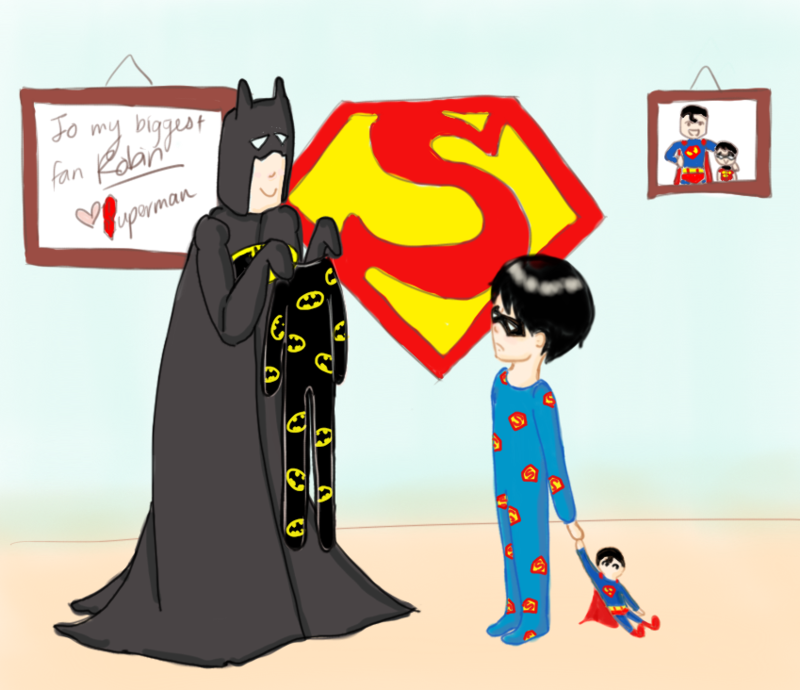 Batman is giving Robin footie pjs! I thought he would ban those!!!!!!!!!!! LOL!!! ha batmans looking all hopefull!! !